One of my favorite things about traveling is discovering little hidden spots you never would have found in a guidebook. Now, that’s not to say I don’t love me an obsessive itinerary or that I don’t have an entire bookshelf dedicated to travel books. Because I do. But however much excited Googling and calendar-making you do before a trip, the best memories are always going to be the little things you stumbled on completely by accident. 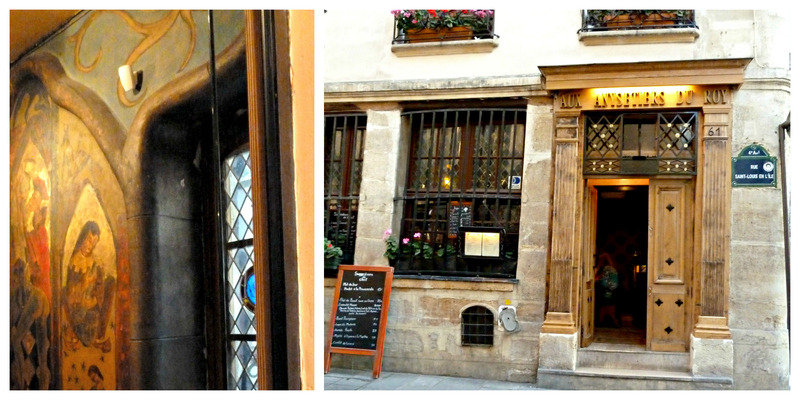 We nearly fell into the guidebook trap with this one, wandering all over Ile St Louis looking for some restaurant the book said was supposed to be extraordinary. Perhaps it would have been, but we never found it and I’m glad, for if we had, we never would have stumbled into this charming little gem. Simply put, we were starving, and this place was directly in our path. Inside, it’s tiny and cramped and dark and glorious. The chef, a little old French woman, keeps an eye on everyone as she whips up delicious, traditional dishes (the beouf bourguignon in particular is delicious.) My art loving heart, however, was just as deeply fascinated by the beautiful medieval mural behind the cash register. Though I suppose it could have been a reproduction, something about this place feels authentic in a deep and meaningful way. I was grumpy the night we went to this restaurant, but promptly had to eat my words. 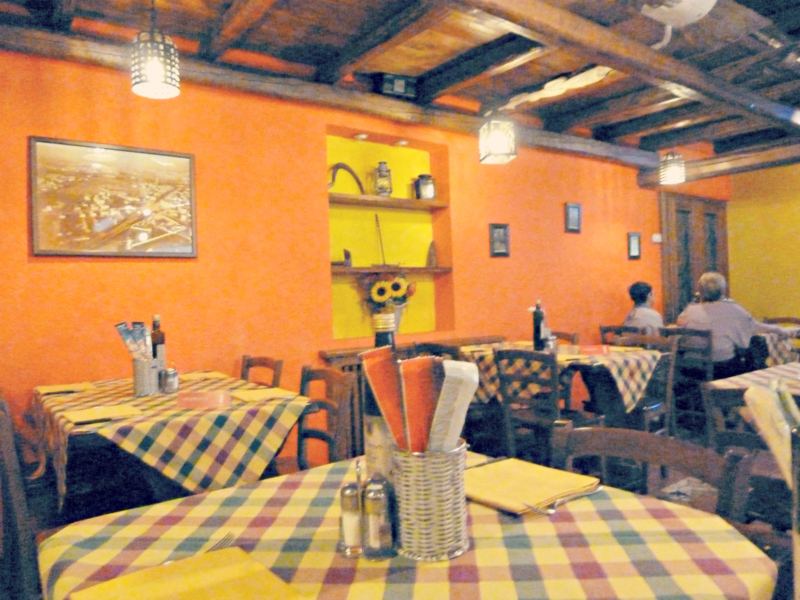 We were staying in Mestre, the mainland off of Venice, and I wanted to go back into the city for dinner. But there was a storm rolling in and I was overruled. We wandered down the sidewalk, not seeing anywhere to eat, for block after block after block from our hotel. Finally, we came across a young woman pushing a stroller and walking with her mother. They didn’t speak any English but we managed to communicate to them that we were looking for a place to eat and they excitedly gestured down the street and around the corner, telling us Al Calesse, Al Calesse! So we walked on. And on. Until finally, lo and behold, a little place with the words Al Calesse written over the door. I had the best bruschetta I’ve ever had there, (seriously, I’ve tried over and over to duplicate it) as well as some of the best pasta (I honestly couldn’t tell you what I had but whatever it was, it was delicious), the best tiramisu and the best service. Perhaps this one isn’t all that unknown, given that it’s right on the Ponte Vecchio in Florence, although I’m not sure what the name of the shop is. But we did stumble on it by accident! 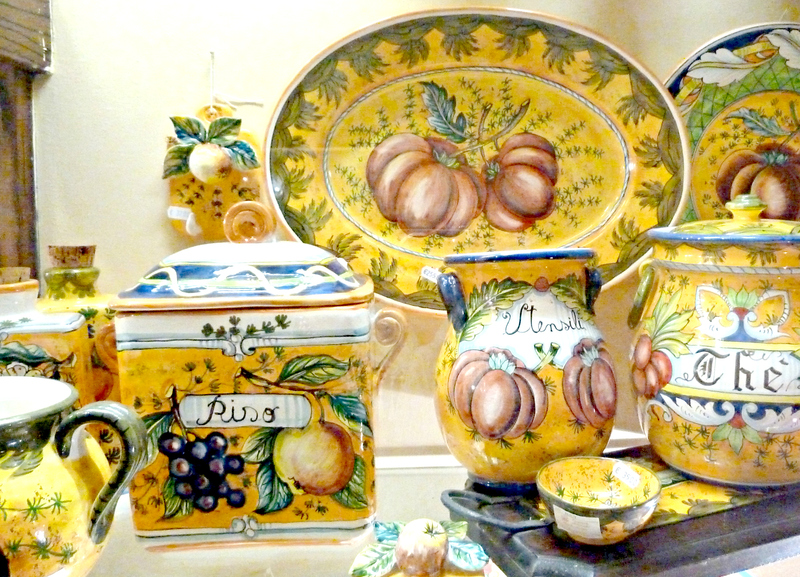 My grandmother has an affinity for Italian hand-painted ceramics and this place was like heaven for her. It’s rather like a tunnel of beautifully crafted pottery, all with brilliant Italian designs, and a workshop at the back. Definitely worth a visit! 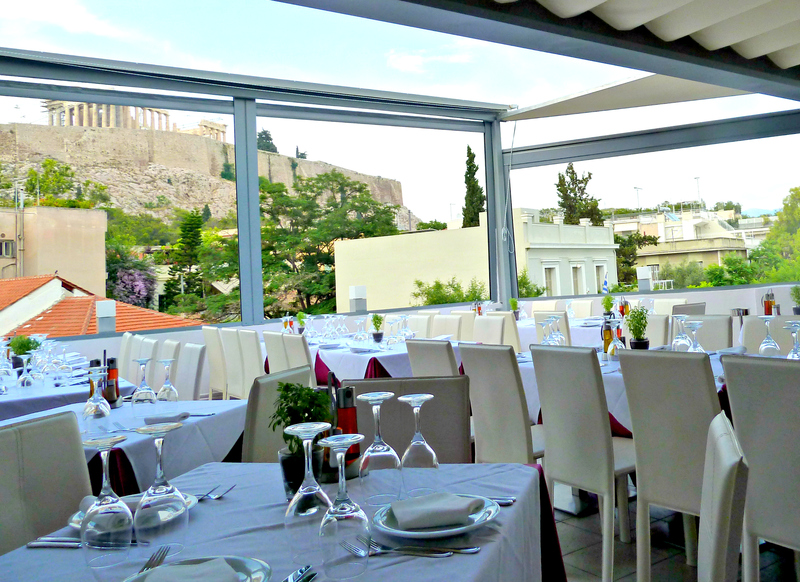 A friend had suggested we try the Dionysos Restaurant while visiting Athens, as it had ‘the best food and the best view.’ But when we mentioned this to the clerk at our hotel, he insisted the place was overpriced and you could get even better food and the same view at a place a few blocks down from Dionysos, called Strofi. We hit Dionysos first, having seen Strofi on the way up and not understanding how it could possibly have a great view, as it appeared to be a small tavern with buildings clustered around it. We had cocktails and wine at Dionysos and, I can assure you, it does have a spectacular view of the Acropolis. But after seeing the menu and quickly hiding our sticker shock, we decided to try Strofi after all. I couldn’t be happier we did: as it turns out, Strofi has a rooftop terrace and, indeed, it has the same view as Dionysos for about half the price. The food was incredible, some of the best lamb I’ve ever had, and you feel as though you could just reach right out and touch the Parthenon, you’re so high up. When we arrived on Santorini, we gave a cab driver the address to the hotel we had booked, a sweet little place in Oia. But when we arrived, the lovely Greek woman who greeted us was completely distraught: she had accidentally written down the wrong dates for our stay and had not been expecting us for another week, until a surprise birthday card arrived in the mail from my grandfather and inadvertently set her straight. At first, we were horrified: did that mean we didn’t have a place to stay? 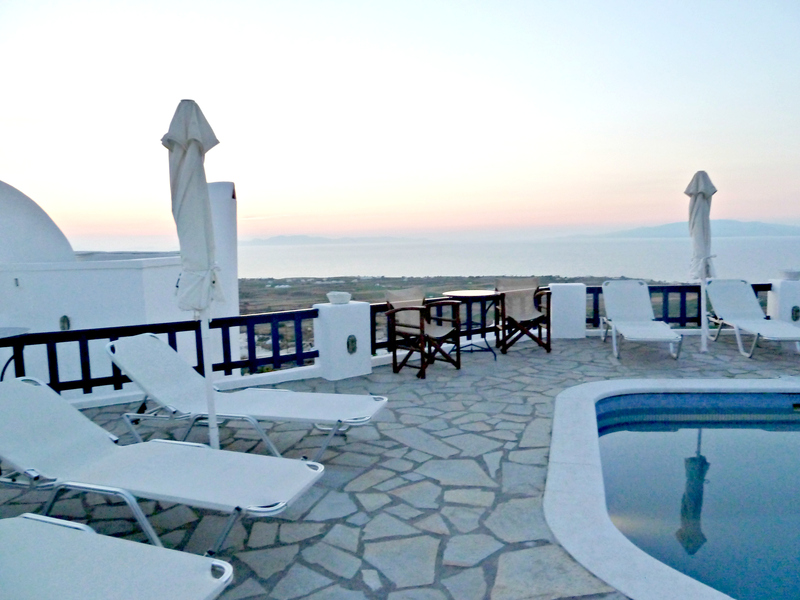 But she assured us she had already taken care of the matter by booking a room at a nearby villa at no extra cost to us. Despite the mix-up, we enjoyed a pleasant surprise when we arrived at Villa Agnadi, a beautiful collection of independent suites overlooking the legendary Santorini waters. In addition to a small kitchenette in our rather adorable room, we also had the unexpected pleasure of a balcony, perfect for enjoying those incredible Santorini sunsets. Sometimes a change in plans or even an honest mistake can be the best thing to happen on a trip.